Here’s a look at what’s coming out from DC Comics for March 2017. A full list of solicitations is available here. 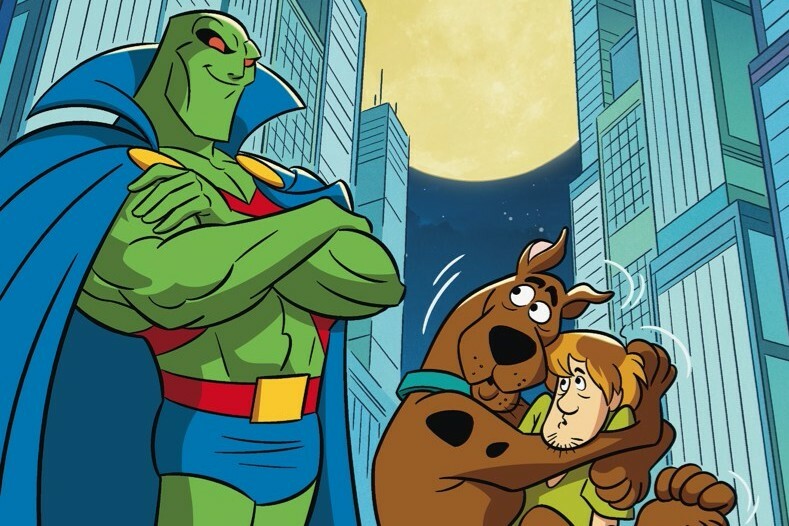 This month sees the Hanna-Barbera titles get annuals. Said annuals are crossovers with the mainstream DC Universe. The crossovers: Adam Strange/”Future Quest”; Booster Gold/The Flintstones; Green Lantern/Space Ghost; and Suicide Squad/The Banana Splits. Also backups with Top Cat, Snagglepuss, the Jetsons, and Ruff and Reddy, all done in the “modernized” H-B comic style. I assume (or really hope) that “Bombshells” is coming out twice this month only. The Amazons appear this month in “Batman ’66 Meets Wonder Woman ’77.” Batman (’66) is also having his crossover with “The Man From UNCLE” collected in a trade paperback this month. Previous Post:Only 33% of Americans trust news most of the time?